Toyota considers halting production line in U.K.
Toyota builds the Auris and Avensis in Burnaston, England. Toyota Motor Corp. could halt a production line in the U.K. as part of cuts in its global production capacity to match lower sales. Toyota has decided to halt a production line in Japan for about a year and a half starting next spring and is considering halting a line at a U.K. plant, a company source told Reuters. The source declined to be named because the matter was not public. Toyota has said it will decide this month whether to pull out of New United Motor Manufacturing Inc. (NUMMI), a California-based joint venture with General Motors Co.
Based on Toyota factory data, those three moves would cut 700,000 vehicles from Toyota's annual output capacity of 10 million. In the U.K., Toyota employs 4,000 people at a car production plant in Burnaston, central England, and at an engine manufacturing plant in Deeside, North Wales. Burnaston builds the Auris and Avensis cars. Toyota also has announced plans to make a hybrid version of the Auris in Burnaston starting next year. The company source said the extent and timing of the output cuts had not yet been set but the Nikkei business daily reported that Toyota planned to reduce its global capacity by 10 percent, or 1 million vehicles, as early as the current financial year that ends March 31, 2010. The Nikkei said Toyota would cut capacity to 9 million cars in a bid to return to an operating profit in fiscal 2010, but the source said decisions had not been made on such deep cuts. Toyota has seen a recovery in sales of fuel-efficient cars helped by government measures to promote such vehicles -- its Prius hybrid was Japan's top-selling car in July. But Toyota has lagged behind its rivals in cost-cutting. Toyota booked an operating loss for the third straight quarter in April-June, while Honda Motor Co. and Nissan Motor Co. turned profitable during the period thanks to cost reduction measures including pulling out of some motor sports and cutting jobs. Toyota has begun restoring some production that was cut in the wake of the global financial crisis, as inventories shrink and government stimulus efforts kick in, but it has yet to announce whether it plans longer-term cuts in factory capacity. "The idling of plants had been a negative factor for Toyota, so the fact they're moving to tackle this should be evaluated favorably," said Yumi Nishimura, deputy general manager of the investment advisory section of Daiwa Securities SMBC. 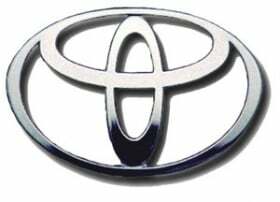 Toyota forecast this month a slightly shallower annual loss, relying on deeper cost cuts and government-backed sales stimulus around the world, but there remain doubts about a sustainable recovery in demand.